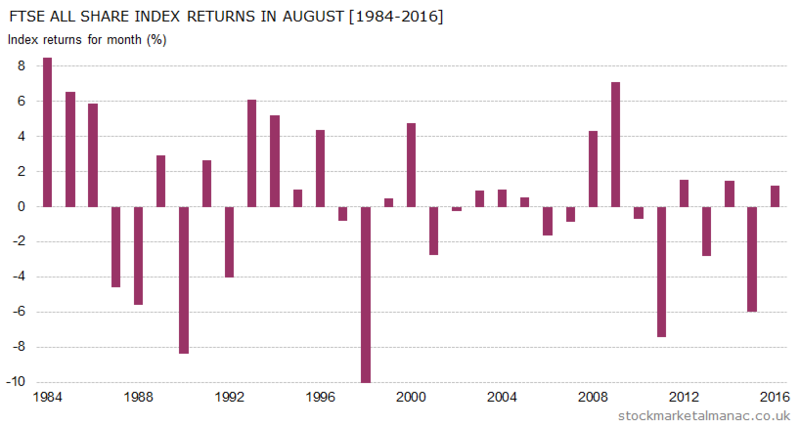 Since 2011 the UK equity market has displayed a rather odd behavior in August: alternating mildly positive returns for the month in even years, with large negative returns in odd years. In the event that this pattern continues then we are due a large fall in the market this year in August. Besides that odd pattern, as can be seen in the chart, apart from the anomalous years of 2008 and 2009, since 2000 even when the market does rise in August, the returns are small. Over the last ten years the FTSE 350 stocks that have tended to perform well in August have been: Fisher (James) & Sons [FSJ], Petrofac [PFC], and Synthomer [SYNT]. Those first two stocks have seen positive returns in August in nine of the past ten years. By contrast, the FTSE 350 stocks that have tended to perform poorly in the month are: Standard Chartered [STAN], Rio Tinto [RIO], and Vedanta Resources [VED]. Rio Tinto has fallen in every August since 2007. Significant dates this month are: the MPC interest rate announcement on the 3rd, US Nonfarm payroll report on the 4th, the MSCI quarterly index review announcement on the 10th, and the LSE is closed on the 28th (Summer bank holiday). 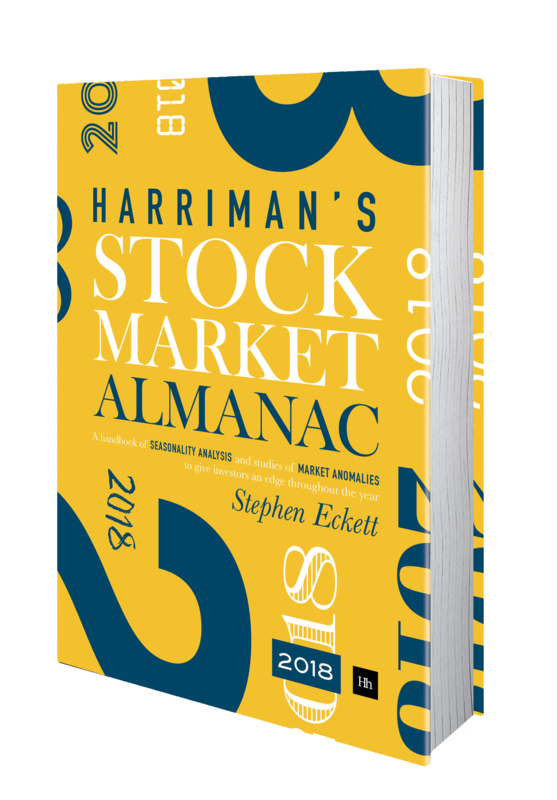 The result of the quarterly FTSE index review (including changes for the FTSE 100 and 250 indices) will be announced on the 31st. And on the 21st the US will experience a total eclipse. This is a big event as the last total eclipse observable in the continental US was in 1979 (when, in fact, the weather was not the best). And the last solar eclipse whose path of totality moved from coast to coast (as it will in 2017) was back in 1918. And investors should be interested in this because? Well, spooky things happen around eclipses. On average in the 15 total solar eclipses that have been visible from the United States since 1900, the Dow Jones Index tends to weak on the day before the eclipse, and on the day itself, but then prices bounce back on the day after.